Marketing in a Nutshell is an easy-to-use quick reference source for non-marketing specialists. Designed as a dip-in guide, this accessible book will be invaluable to general managers, non-qualified marketers and students taking a module in marketing alongside their other studies. 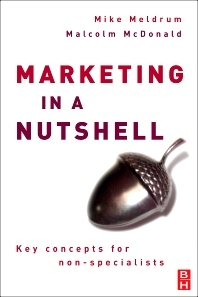 Marketing in a Nutshell makes the authors’ marketing know-how and expert insights accessible to all.